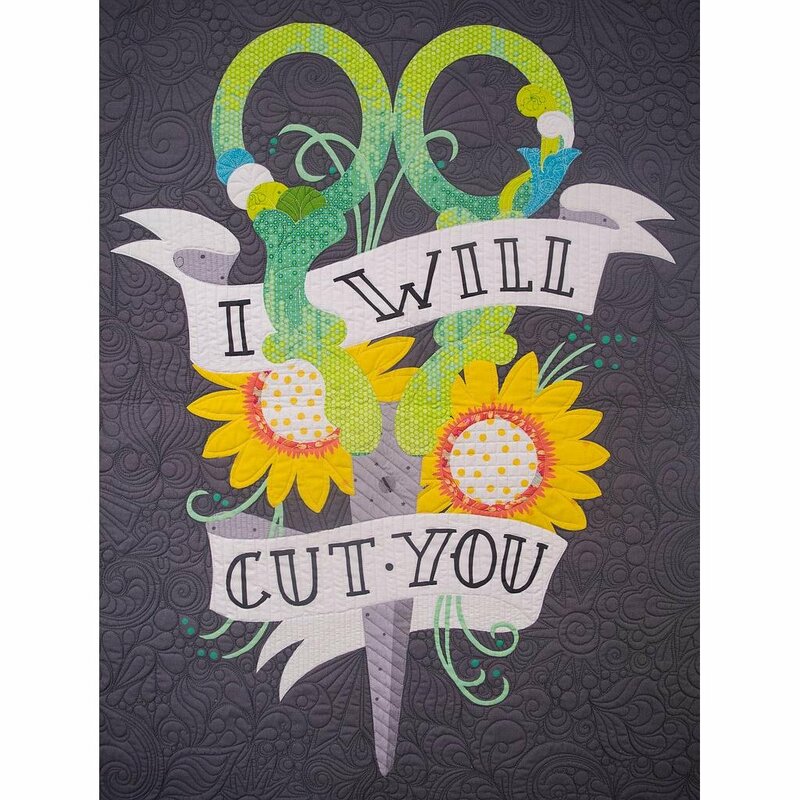 Perfect as a wall hanging or quilt centerpiece, "I Will Cut You" is sure to win your heart. I Will Cut You measures 33" x 45." Easily add pieced blocks or borders around the centerpiece to convert into a twin, full, queen, or king-size quilt.